Copenhagen, the capital of Denmark, is a big city, of course, but the feel is more like a peaceful seaside town. Copenhagen is a lovely place to visit with your family. How could it not be, when the city’s number one tourist attraction is an amusement park? 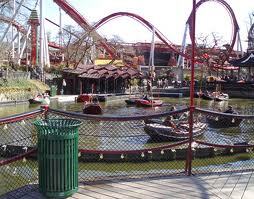 Tivoli Gardens was the inspiration for Walt Disney after he visited there in 1948 and loved it! Michael Jackson offered to buy Tivoli Gardens after he performed there, but was turned down! It’s an exquisitely landscaped, 15 acre park built in 1843 with stunning old buildings and lots of kid-friendly restaurants. Rides at the park range from gentle carousels, boat rides on the lake, and a trolley bus, to several thrilling roller coaster rides. There’s a pantomime theater and cars on tracks. On Wednesdays, Saturdays, and Sundays the Tivoli Boys Guard parades through the park, and puts on a great show. These 8 - 16 year old boys dress in uniforms with bear skin hats (like the ones the guards at Buckingham Palace wear) and perform concerts. According to the Tivoli website, there are changing tables and free diapers in the Puslerum building, toys for impatient siblings, and a microwave for heating bottles. My advice is to visit Tivoli during the day – it’s mostly families at that time – and the lines are much longer at night. (Although the lights and fireworks after dark are magical!) 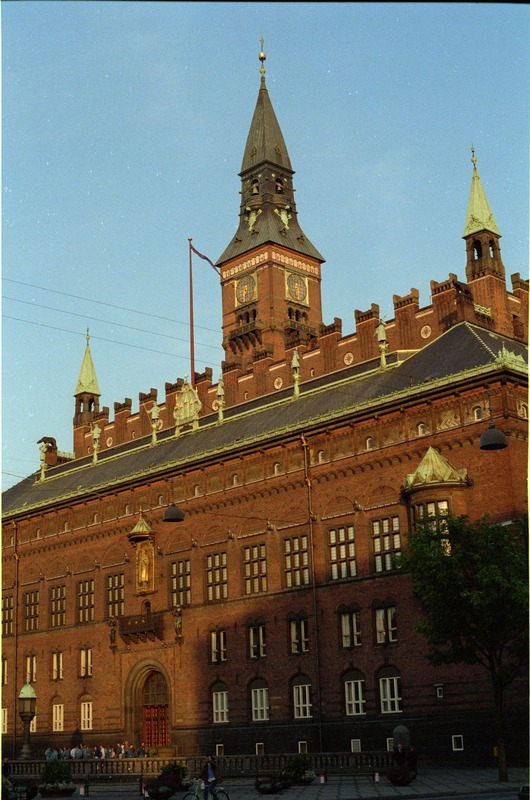 But remember, the summertime has 16 to 18 hours of daylight in Copenhagen! Finally, I love family bicycle tours and Copenhagen is another perfect city for cycling. Almost every major street has a designated bike lane, and in the summer, City Bikes are free to ride within city limits. Great post! 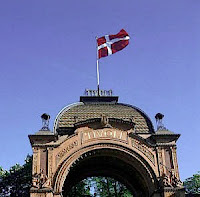 My husband and I are going to spend a couple of days in Copenhagen in May. I'm starting to do research on places to visit. Thanks for following my blog; I'm now following yours.